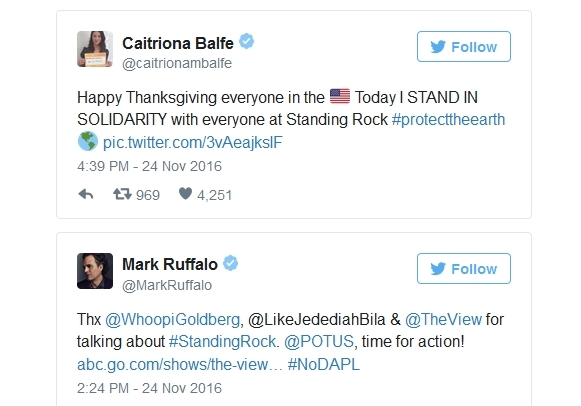 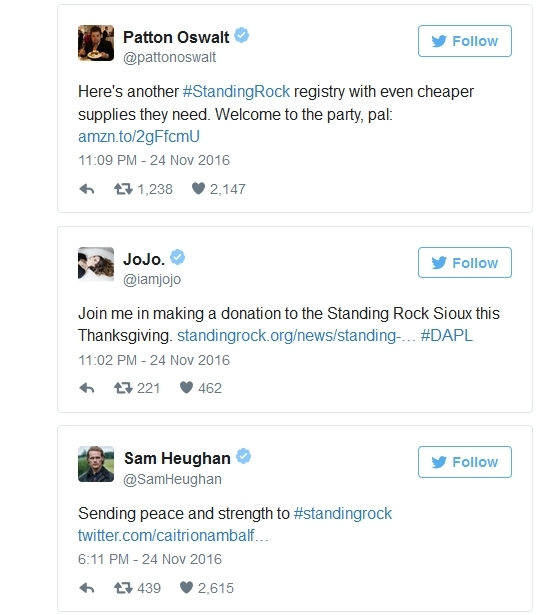 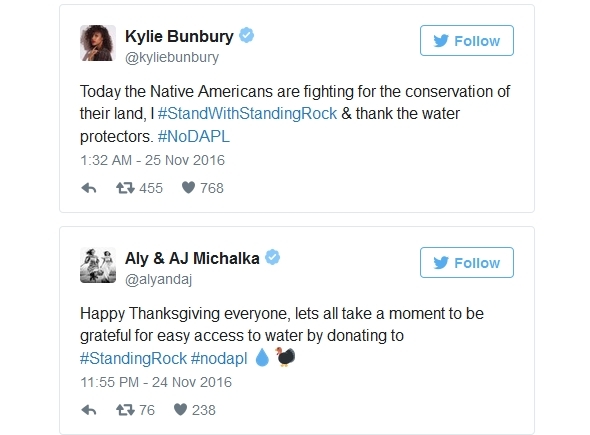 Celebrities are asking their fans to remember the people of the Standing Rock Sioux Reservation while celebrating Thanksgiving this year. 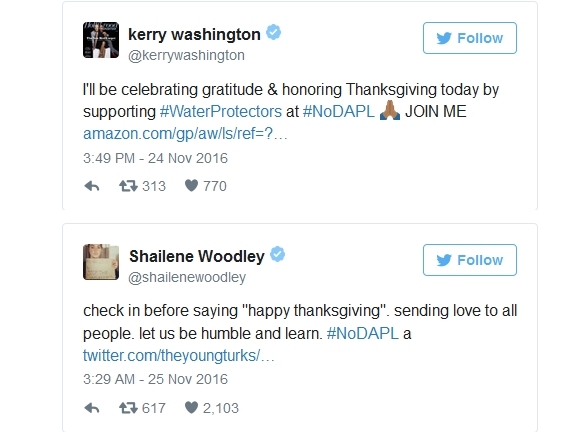 Shailene Woodley, who has been very vocal in the fight against the DAPL for some time now, went to Standing Rock on Thanksgiving to serve meals alongside other celebs like Jane Fonda. 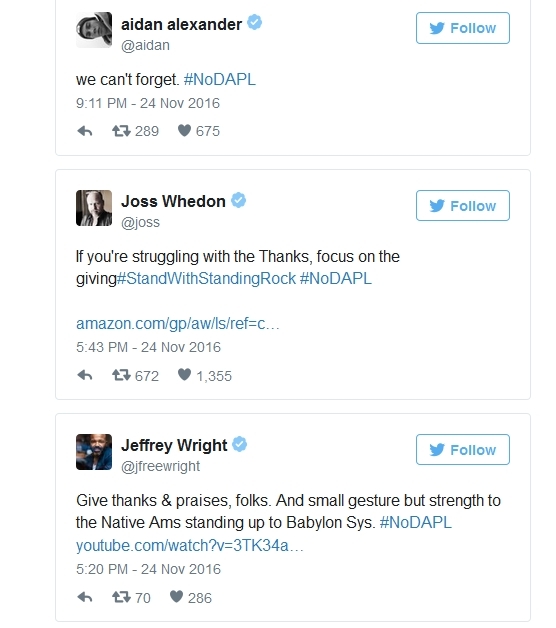 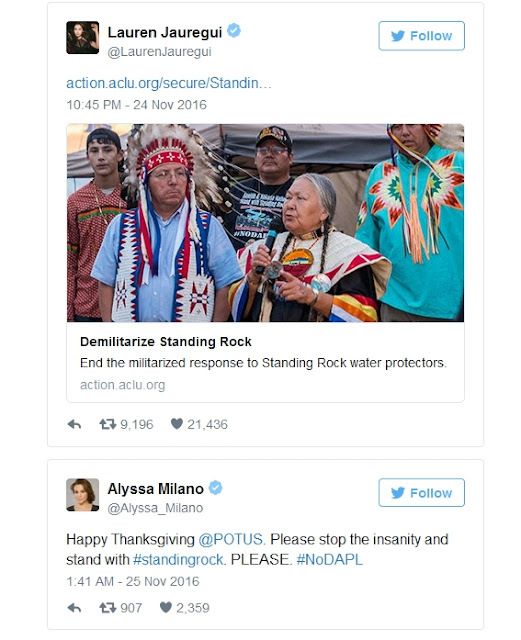 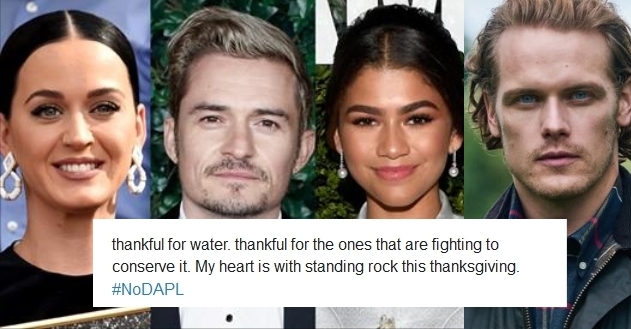 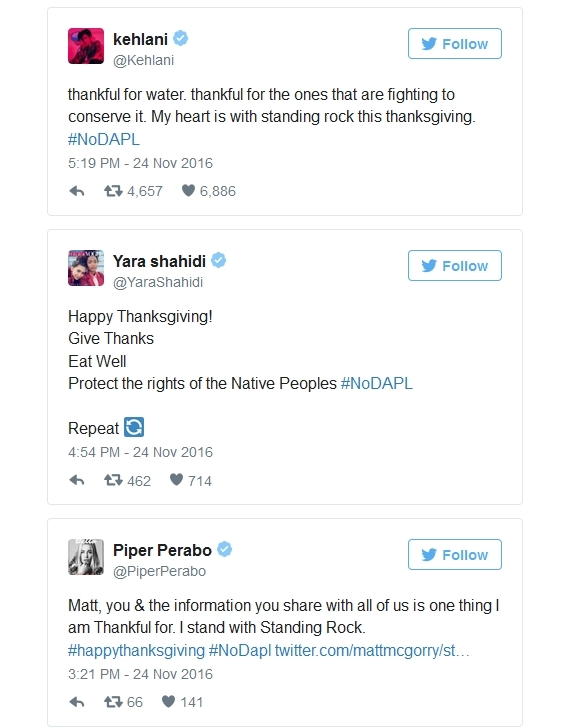 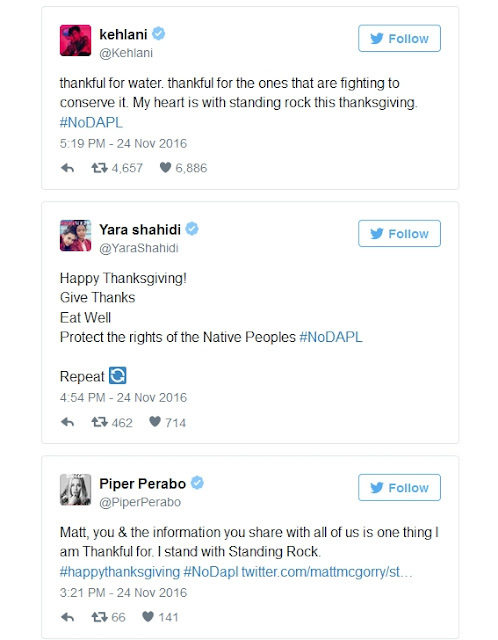 Responses to "22 Celebs join in support with water protectors on Thanksgiving day"